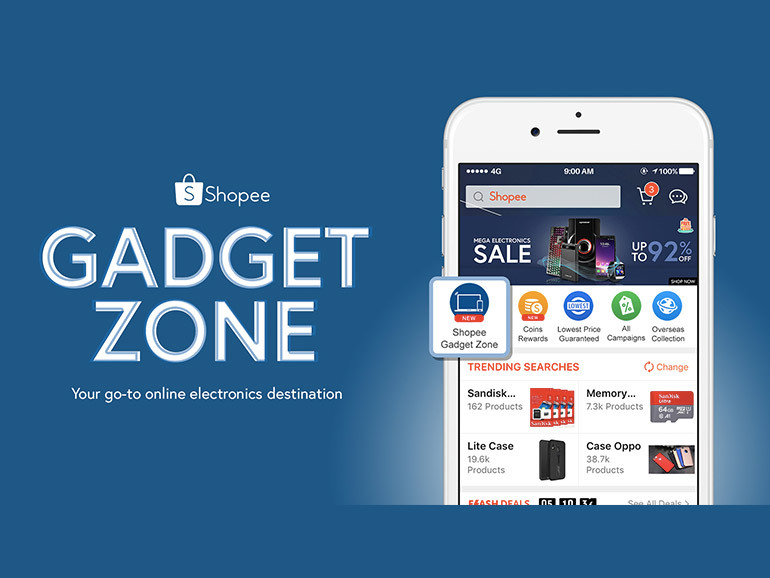 Shopee Philippines launches the Gadget Zone — its new in-app portal for all things tech and electronics. The new portal will be active starting July 17. The dedicated section is devoted to all things tech, and it will be stocked with ‘Low Price Guaranteed’ deals that include items such as smartphones, TVs, accessories and other gadgets from popular brands like Samsung, OPPO, Vivo and more. To celebrate the launch of the Gadget Zone, Shopee will be having the Mega Electronics Sale from July 17 to July 20, 2018. The four-day sale event will feature exclusive deals with up to 95% off on select electronics products from popular brands such as Canon, HP, JBL, Xiaomi, and Vivo. During the Mega Electronics Sale, 21 lucky winners will also be chosen from the pre-registration of the Vivo X21 from July 17 to 20 to each win a PHP10,000 voucher. The vouchers can only be used until July 31 to purchase the Vivo X21. For more information about the Mega Electronics Sale, you may visit shopee.ph/megaelectronicssale.